The clash broke out outside a polling booth at Pipsorang, District Electoral Officer Santosh Kumar Rai said. 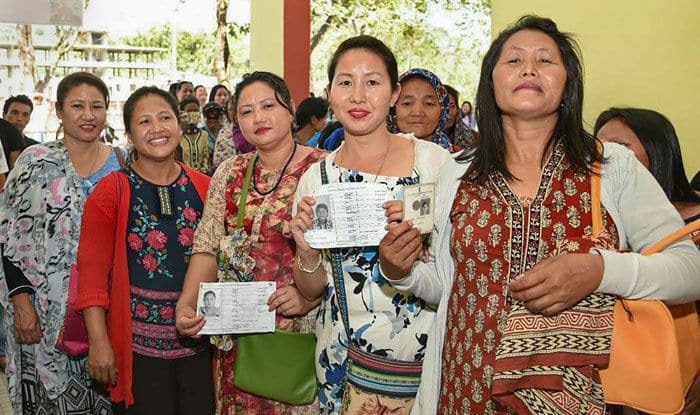 Three persons were injured when supporters of two rival political parties clashed in the Tali Assembly constituency of Arunachal Pradesh during polling on Thursday, an election official said. The clash broke out outside a polling booth at Pipsorang, District Electoral Officer Santosh Kumar Rai said. Further details were awaited as telecommunication connectivity in the area was bad, the official said. Police officials said the injured were taken to hospital by a helicopter. Arunachal Pradesh is undergoing simultaneous polls. For the two Lok Sabha seats 12 candidates are in the fray, and for the 57 Assembly seats, 181 are in the race. Voter turnout in the state was 50.87 per cent till 3 p.m.
Chief Minister Pema Khandu cast vote at the Lemberdung polling booth in Tawang district, bordering China. Union Minister of State for Home Kiren Rijju, seeking re-election for the third time from Arunachal West, is facing former Chief Minister Nabam Tuki of the Congress, National People Party’s Khyoda Apik and Jarjum Ete of Janata Dal (Secular). The BJP, as part of its “Mission 60 Plus 2”, aims to win both seats in the state. Three BJP candidates — Phurpa Tsering from Dirang, Taba Tedir from Yachuli and Kento Jini from Along East — won elections unopposed in the 60-seat Assembly after either other contestants withdrew or their candidature was rejected. Voting is underway for 57 Assembly seats and two Lok Sabha constituencies at 2,202 polling stations. There are 7,98,249 voters in the state.